Oscar Pistorius has formally appealed to have his murder conviction for killing Reeva Steenkamp overturned, AFP news agency says. Oscar Pistorius is now a convicted murderer after a South African court overturned a previous manslaughter charge. An appeal by South African prosecutors to have Oscar Pistorius' culpable homicide charge changed to a murder one has come to an end with judgement reserved until a later date. An appeal court judge has told Oscar Pistorius' lawyer that it "would be a miracle not to shoot someone" if firing repeatedly through a door which someone is behind. Responding to the lawyer's submission that the original judge in his client's case had not ignored key circumstantial evidence Justice Leach said: "If you put four shoots through that door you must surely foresee that you will shoot someone." #oscarappeal judge leach giving defence hard time: can't OP be convicted of murder of person in toilet even if he thought Reeve was in bed? The prosecutor in the Oscar Pistorious case has argued that the judge in the original case should not have thrown out circumstantial evidence which would have made the athlete's version of events "impossible". Gerrie Nel said: "The court ignored the evidence, the most important circumstantial evidence, that would make the accused version, not reasonably or possibly true, but impossible." Nel is arguing that Pistorius should have been given a murder conviction. #OscarAppeal prosecution: on objective facts, the accused cannot escape a conviction for murder. 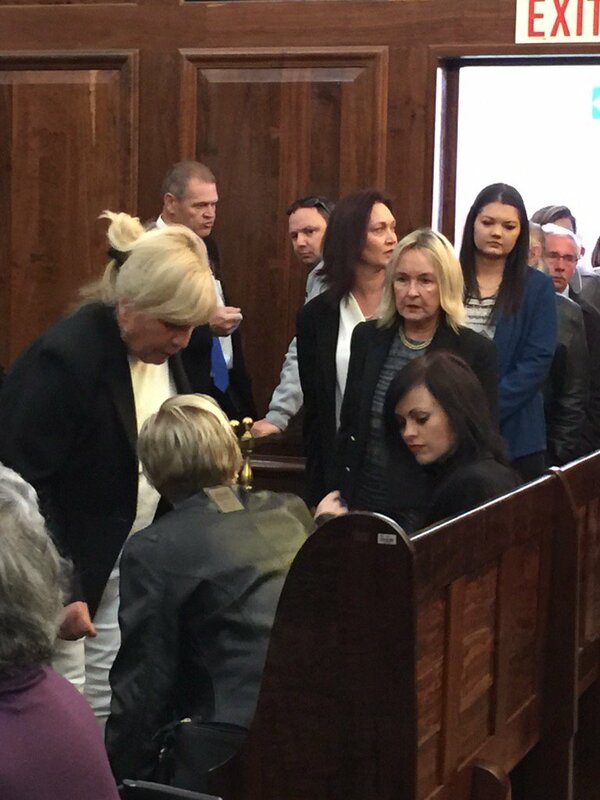 Reeva Steenkamp's mother June has arrived in court this morning as Oscar Pistorius’s lawyers appear back before judges in a fresh bid to try to keep their client from returning to jail. Speaking to Sky News Reeva's mother said the paralympian's original sentence had been too short. She said: "He killed her and he's been in jail for 11 months and it's too short a time for taking someone's life. "And even though I don't want to hurt him in any way, he has to face the truth … it's justice for Reeva." Two weeks since he was released on parole, Oscar Pistorius’s lawyers are back in court to try to keep their client from returning to jail.